Detailing the physical features, habits, territorial reach and other identifying qualities of the Reddish Potato Beetle. The tomato-colored Reddish Potato Beetle is a Sonoran Desert native, standing out in gardens and chapparal. The bright Reddish Potato Beetle is a close cousin to the very destructive Colorado Potato Beetle. Though it is named after a tuber, the beetle and its larvae feast on a variety of plants: tomatoes, eggplants, bell peppers, chili peppers, tomatillos, and tobacco. These, plus petunias, are all member of the Nightshade plant family. The Reddish Potato Beetle is not considered a huge agricultural pest likely because of its limited range. That does not exempt it from being a nuisance in the garden or field. It is used as a test subject for developing biological agents that aim to kill and control the Colorado Potato Beetle. 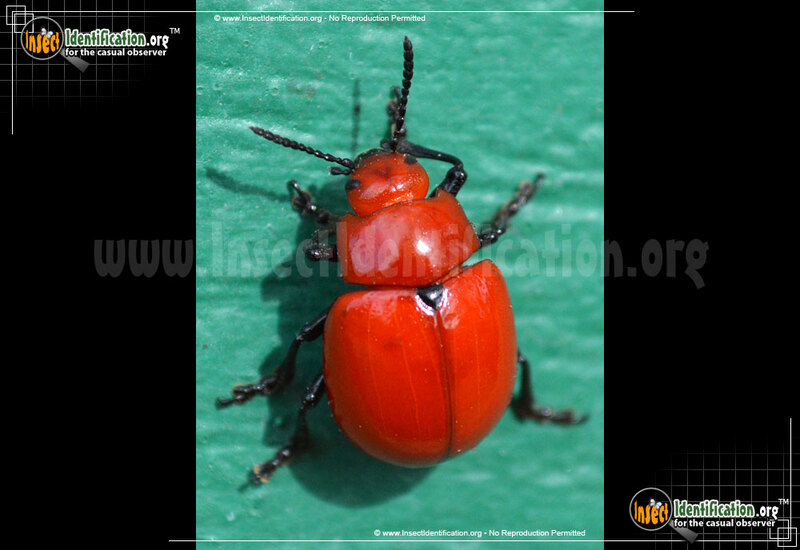 Despite its bright warning coloration, the Reddish Potato Beetle is actually harmless to people. Reddish Potato Beetles can be found on the foliage of nightshade plants. Their larvae can be found by digging at the roots of these plants since these grubs eat away at the plant from underneath it. The fiery red adults can also be spotted hanging out on native mesquite, jojoba, and other shrubs in semi-wooded areas.